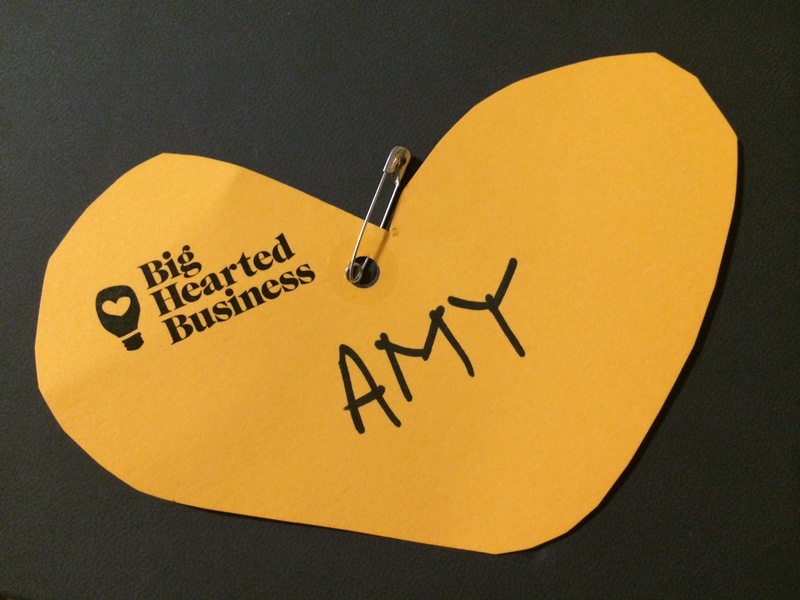 This weekend I’m attending Big Hearted Business (un)Conference 2014 — an annual event run by Big Hearted Business (BHB), designed to ‘teach creative people about business, and business people about creativity, in ways that makes sense’. BHB is the work of well-known and widely-loved singer, songwriter and actor Clare Bowditch, who is also hosting the two-day event at Northcote’s Regal Ballroom in Melbourne. Aimed at creatives, entrepreneurs, and those who are both, the theme is ‘Courage, courage, nuts & bolts’. 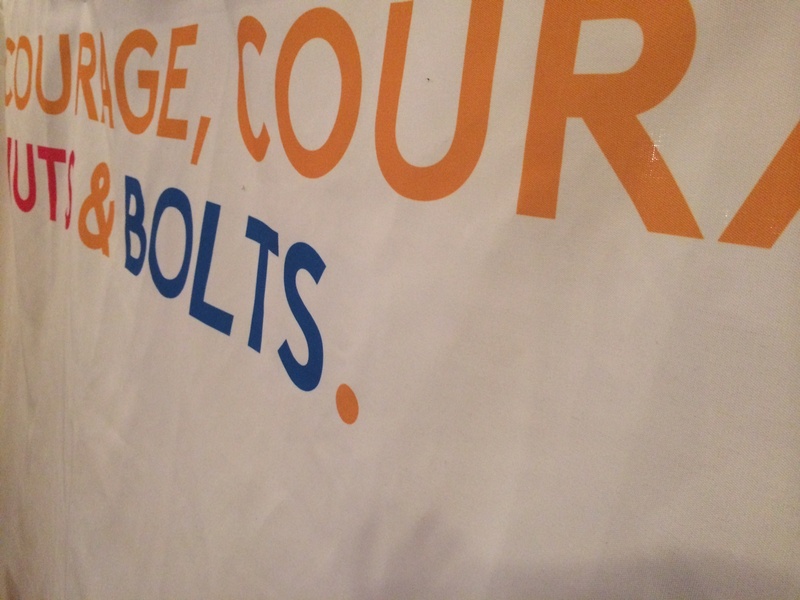 Regal Ballroom Foyer banner: ‘Courage, courage, nuts and bolts’ (tricky side-angle). I decided to be part of it because thought BHB 2014 would be a good opportunity to hear stories, and learn lessons from, those making money from their talent and passions, so I can do the same. They are some of the pearls of wisdom from day one — I’ll share those from day two, tomorrow. You can follow the conference from wherever you are on Twitter, Instagram, and the like, using the hashtag #BHB2014. 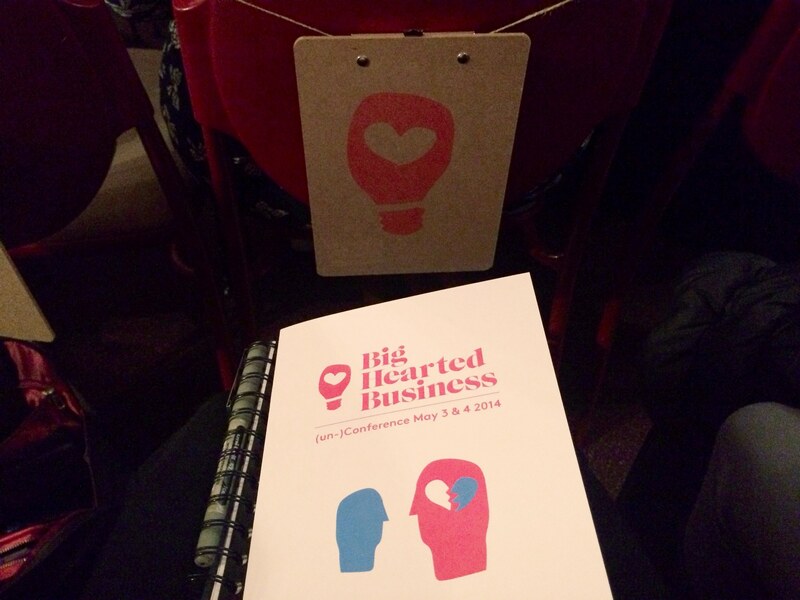 The view from my seat at the Big Hearted Business (un) Conference 2014. Program and notepad on lap; clipboard in front. *Cover photo is of Clare Bowditch on stage, welcoming the 500+ participants. Oh, thank you! More than happy for you to link. I appreciate it.